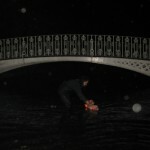  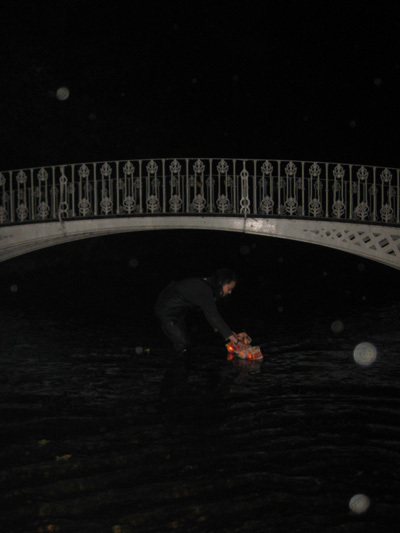 On a dark and drizzly bonfire night I tested the prototype floating lanterns in the river Wandle at Morden Hall Park – it was a very strange feeling wading in the river at night without being able to see my legs. 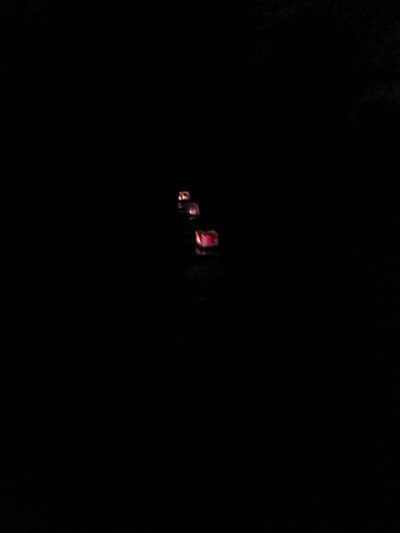 The lanterns floated beautifully and drifted downstream at a stately pace, to be caught by Melati at the White Bridge. 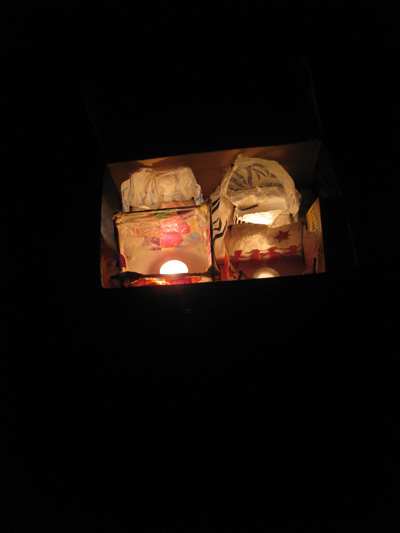 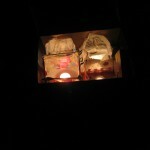 This entry was posted in lanterns, River projects, Workshops and tagged river Wandle on November 5, 2008 by Jane Porter.